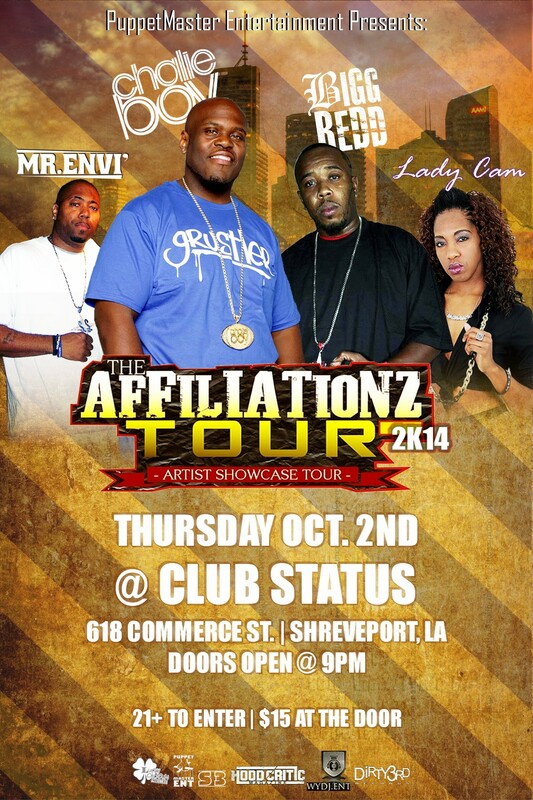 Thursday, Oct 2nd at Club Status is where it all goes down. 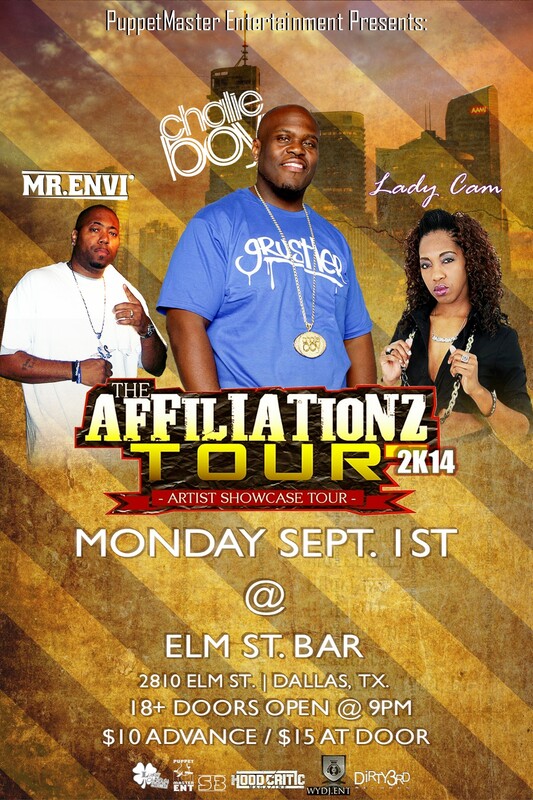 Chalie Boy, Mr. Envi’, Lady Cam and Bigg Redd performing Live! PuppetMaster Entertainment brings you yet another year of rising talent. And this years headliner, “Chalie Boy” of Dirty 3rd Records, is sure to grasp the attention of those who enjoy good music. Here’s a look at the tentative schedule laid out for the tour. 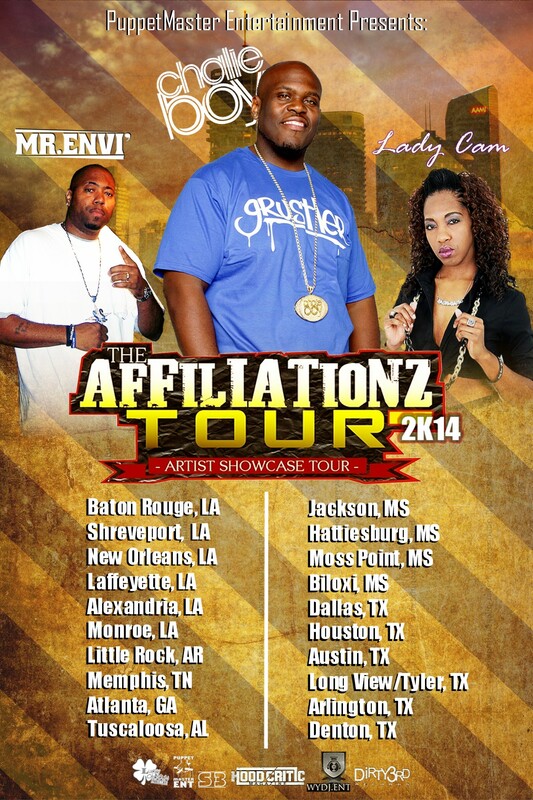 Be sure to follow the tours movements as we all know at anytime, things could possibly change.